On Wednesday, January 20th, I had the great fortune (thanks dear) to attend a reading by Audrey Niffenegger. It was held at the 15th Street Gallery and hosted by the King's English bookshop. If you're not familiar with TKE, it's a great independent bookstore in the Sugarhouse district of Salt Lake City. It has a quaint cottage look and inside you'll find labyrinth halls lined with books. The halls wind their way connecting to ascending and descending staircases leading to places like the Kids' room and the Mystery room. TKE is not unlike the Winchester Mystery House in San Jose, CA. except that TKE is not reported to be haunted (not that I know of) a bit smaller in scale. TKE is peopled with a delightful staff of flesh and blood. It's not at all scary, quite the contrary, and you don't have to pay just to walk the halls. Chances are though if you do walk the halls, you'll end up paying at the register since it's almost impossible to leave without some treasure from their shelves. 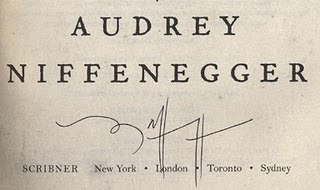 What a perfect match, the King's English and Audrey Niffenegger. That night, Ms. Niffenegger mentioned how intriguing is "the mating process between readers and books." And the King's English has been "matching books to readers since 1977." My experience that evening was wonderful. It is such a great environment. Art on the walls and art at the podium. When you consider that one in four Americans don't read novels, it's always great to be in a room full of people who love to read and are all passionate about the same book. Like many, my first introduction to Ms. Niffenegger's work was The Time Traveler's Wife. A novel unlike any I have read. Her telling of this unusual life-long love affair is at once both something we can't related to and something we can all relate to. 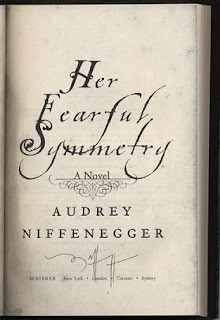 I have yet to read her new book, Her Fearful Symmetry, but look forward to doing so. What I'd like to share now is something she mentioned during the Q&A that followed her reading. When asked how she got into noveling, given her background, she replied, "All my degrees are in visual art. 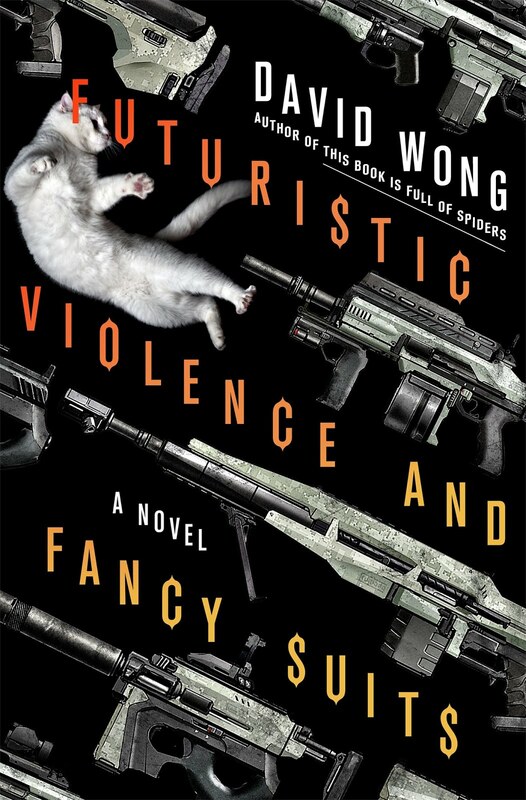 This noveling thing is completely unsanctioned." We laughed. She explained that she recognizes that certain training can avail you to experiences you may not have otherwise had, "you don't need anyone's permission to do art." After the Q&A, we retired to the King's English and the Mystery Room where Ms. Niffenegger signed her books. Given the length of her name and the configuration of the letters. Here is a scan of my book. Her autograph is as unique and quirky as she is. One other thing worth mentioning, Ms. Niffeneggar does not own a television. That in itself is significant, don't you think? However, when she needed a British television show to include in her book, she tried The Office and found that was the wrong genre. Next she landed on some obscure Sci-Fi show called Dr. Who. Did she like it? Well, it made it into the book and after watching a few episodes, in her own words, she was "...like a chimp on cocaine. More!" As she slapped the podium. I think we could say the same about her novels. The whole idea about not needing permission to do art sounds straight out of The Artist's Way. I wish I could learn that lesson.